The Non-Proliferation Treaty, created in 1968, has been an empty promises document for decades, despite being “the only multilateral treaty to the goal of disarmament by the nuclear-weapon States” including the United States. If the U.S. government were to cut its very expensive nuclear arsenal, and work seriously toward a nuclear-free world, the benefits both to the American people and to humanity everywhere would be immense. The United States federal budget for 2017 includes a request for $12.9 billion for expenditures on nuclear weapons. Who benefits? Building, maintaining and “modernizing” nuclear weapons serve as money-machines and jobs creators/protectors for an especially sinister part of the U.S. Military-Industrial Complex, including Boeing, Northrop Grumman, General Dynamics, GenCorp Aerojet, Huntington Ingalls, and Lockheed Martin, among others. See “Meet the Private Corporations Building Our Nuclear Arsenal” for a more complete list and analysis. In recent years, the U.S.-created Northern Atlantic Treaty Organization (NATO)’s missions have extended to Afghanistan (now officially called “Resolute Support”) and Libya (now sardonically called a “pretext for another new war” by Glenn Greenwald). NATO has also extended its alliance of nations right onto Russia’s borders. The “Missile Defense Systems” in Eastern Europe are part of a neo-con strategy to threaten, contain and weaken Russia. The resulting uptick in Cold-War-Era-ish tensions between Russia and the United States is the last thing we need in a world already bristling with conflicts and weapons. While anti-nuclear work is not a core campaign of CODEPINK’s work, we stand in alliance with other organizations, including Peace Action and the Mayors for Peace program in Abolition 2000, who are working to bring about a nuclear-free world. 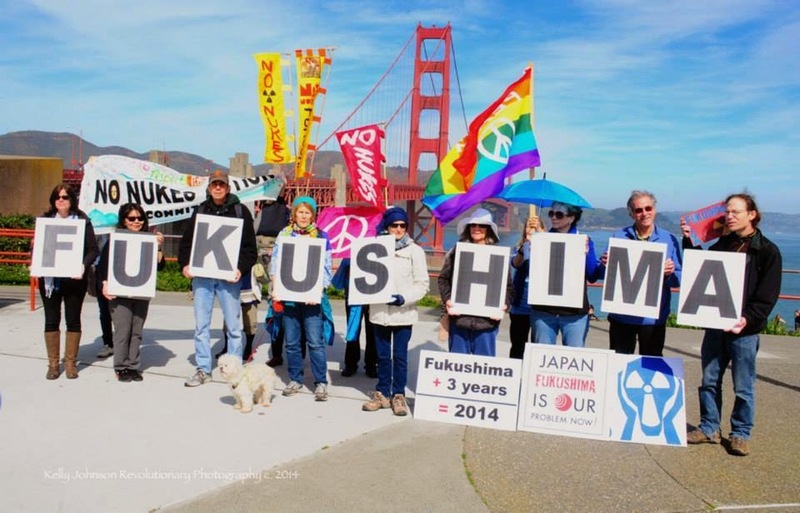 Activists in CODEPINK Japan have been bravely opposing both nuclear power and nuclear weapons, especially after the Fukushima disaster of 2011, and joined with California CODEPINKers at the Golden Gate Bridge for a dramatic vigil. For more analysis of nuclear issues, please read Professor Andrew Bacevich’s recent article, “New Nukes? Turning Away from Disarmament”.